There is no doubt about it, 2016 is the year of live video. 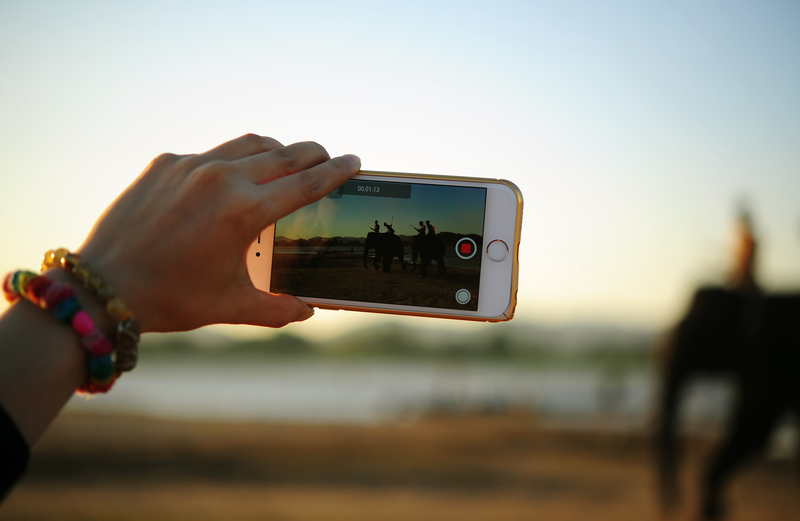 While there are many choices when it comes to live streaming apps, Facebook has quickly emerged as the clear leader since launching to their entire audience in April 2016. This is no surprise. Active monthly Facebook users currently total 1.6 BILLION compared to 305 Million on Twitter, parent company of the next-most popular live streaming app, Periscope. Melissa Viscount of Silhouette School and Tabitha Philen of the Inspired Bloggers University are two very different creative business owners who are both absolutely crushing it with live streaming video. I spoke with them to share their best tips and put together this guide to help you see success from day one! First, All the things you are afraid of…and why you shouldn’t be! 1. You are worried you will be terrible and awkward on camera. Don’t worry, I promise you when you first start broadcasting, you WILL mess up at least once. You won’t know how to start your first broadcast and will make funny faces at your phone. But, I also promise that the learning curve is a quick one. And rest assured, viewers of live content don’t expect perfection. “Actually, people LOVE when you do mess up or are super awkward. It shows them you’re human, too. Just go with it and let your personality shine through! You will gain the trust and loyalty of your followers. They’ll see there is a real person behind your brand and they’ll become an even bigger fan, ” Melissa Viscount says. The beautiful thing about live video is ease-of-use. Can you snap a photo with your phone? If so, you have most of the technical know-how you need to create a great quality live broadcast. 3. I’m not a celebrity vlogger…What on Earth am I going to talk about? Live streaming apps are a fully immersive experience for both broadcaster and viewer alike. Your audience is communicating with you in real-time. It feels less like a performance and much more like a conversation. People will ask questions and offer support while you are live which helps keep things moving. Planning your topic ahead is crucial. You will probably choose two or three types of broadcasts that help you meet specific business goals. For example, if you are yoga instructor with an ebook on 30 minute yoga workouts, you might use Facebook Live to offer live morning workout motivation, and add a shortlink in your video description to the landing page for your product. If you are an artist, you might regularly broadcast yourself working on art with a link to your shop, and even broadcast live from your art shows. These topics are not an exhaustive list…get creative! If it helps you meet a business goal and speaks from the heart of your brand, go for it! Now that you are ready and have some topic ideas in mind, let’s get to the nitty gritty and talk about how and what to plan to get ready for a broadcast. Melissa Viscount of Silhouette School probably had no idea how much her experience as a TV producer would help her in marketing! Melissa has built a six-figure business teaching people how to use their Silhouette vinyl cutters and loves using FacebookLive to teach mini classes that act as a ‘soft-sell’ promotion for her ebook. She also uses it to showcase products from companies she partners with. 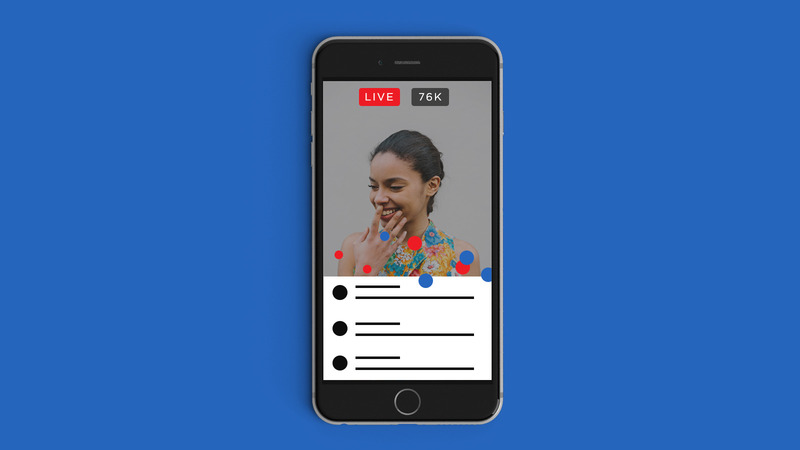 The maximum length of a Facebook live broadcast is 90 minutes, but a good rule-of-thumb is to plan action-packed content that last between ten and thirty minutes. Broadcasts that are too long can cause users to feel a bit bored. Broadcasts that are too short may not get as many live viewers as they could. Viewership relies on people being ON Facebook when you go live or being subscribed to your broadcasts to watch in real-time. 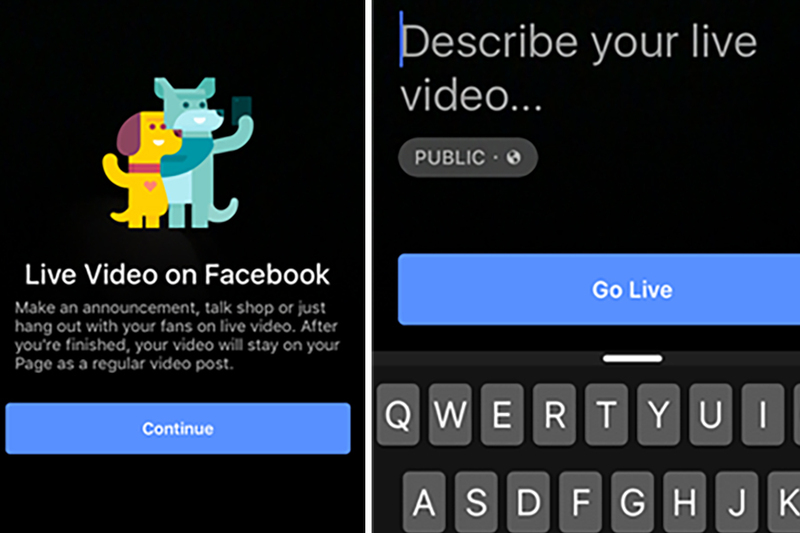 Live videos are only boosted in NewsFeed while they are live, so a quick-moving thirty minute broadcast is a win for both engagement and maximum number of viewers. When and how often should I broadcast? It is wonderful to broadcast at a time when analytics shows most of your fans are online, but the BEST time to broadcast will be a time you can be consistent with. Tabitha Philen has built a fiercely loyal fanbase who can’t wait to hear her creative blog marketing tips. Broadcasting three times a week at the same time on FacebookLive has helped her build on that success. “Having a predictable schedule works for two reasons: you have the accountability to broadcast consistently, and your audience knows when to expect you. My community anticipates my live videos, and when I miss a scheduled broadcast, they look for me,” She says. When you start a broadcast, you will be asked to provide a description. At first, it can seem kind of odd to describe something before you have even started it, but that is how live video works! Write a description in the planning stage and add any links to blog posts, resources, or products you want to promote. This ensures you have a killer description to encourage views after video is live, and lets you keep your head in the moment when you are about to go on. Your location doesn’t need to be fancy, but you should find a spot where there is enough light to see you and whatever you are showing viewers. You should also find a place where there isn’t a ton of background noise so viewers can hear you. Also remember when you are planning your space that your video will be square. Now that you have planned an awesome broadcast, you are ready to tell people about it! Facebook will actually send a notification to people who are subscribed to your live content. People who like your page will only see it in their NewsFeed if they happen to be on Facebook. Develop a strategy for increasing your FacebookLive subscribers and make it a regular part of your marketing. 1. Add a link on your website sidebar and any email subscription pages that invites readers to subscribe to broadcasts. 2. Include a link to subscribe in your email newsletter and consider sending an email each week, scheduled to send right before you are about to go live. One of my favorite things about live video is the END. No, wait…let me tell you why! You know how you’ve been talking about getting that YouTube channel started for YEARS, but just couldn’t get out of the planning stages? When you end a Facebook Live broadcast, you have a COMPLETED VIDEO to do whatever you want with! How cool is that?! Add it to a post on your blog to enhance the content. 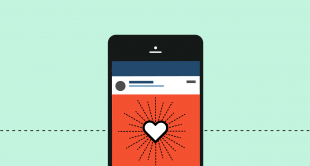 Add it to a product page to increase conversion rates. Create a section on your website that features all of your videos. Use your Facebook live videos to promote future videos…so many options. When you have finished the broadcast, you can even use it as an ad on Facebook! Just remember that Facebook crops the video to a square which isn’t optimal for YouTube. Just set up a GoPro next to your phone while you are recording upload THAT version to YouTube instead. There is SO much more to learn about Facebook Live including the nuances of interacting with viewers, marketing, and utilizing live video. Remember, step one is just to START. Get your start with Joel Comm in How to Leverage the Power of Live Online Broadcasts on Friday September 9, 2016 at 9:00 am PST. RSVP now! There is someone in the world who really needs to hear what you have to share. Want even more tips? 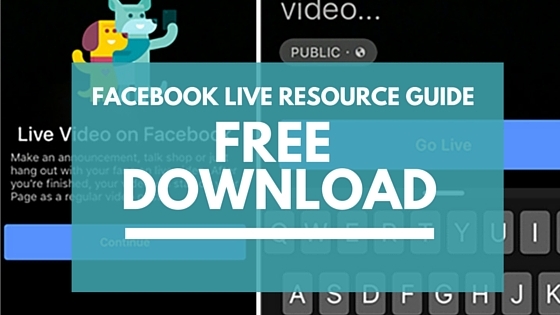 Download the Facebook Live Resource Guide. The Guide includes a handy step-by-step graphic for launching a live video, an in-depth tips from Melissa and Tabitha, PLUS recommended tech tools for capturing your stream!